Let your Appointment Wizard do all the thinking for you. During the busy times, it might be hard to navigate your way around your appointment columns trying to figure out how to fit your clients in. You might have gaps here and there, but you need to coordinate a clients appointment to fit in all the services the want one after the other, even if they have to be split across multiple operators. Your Appointment Wizard has this sorted. All you need to do is punch in a few details like client name, services they wish to book in for, the date and time they want and the operators name if applicable, and the Appointment Wizard will find the first available options. You might have never noticed the little Wizard at the top of your Appointment page, or you may have noticed it, but never actually ventured out to see what it does. Click the Wizard, and here's how it works. Firstly, start typing in the Client name, or click New Client if your making an appointment for a new client. If you're searching for an existing client, the clients name will display. Click the client you wish to book in. From the drop down menus choose the first service the client wants to book in for, then choose the operator who they want to see for this service. Note: You don't have to select an operator, you can leave the drop down menu displayed as Any Operator. Choose the service and click Add. The first service and operator will be added. Continue adding in each service, with the corresponding operator, or with Any Operator. Once you have all the services picked and listed, time to select the date and time. Now click Find Options. 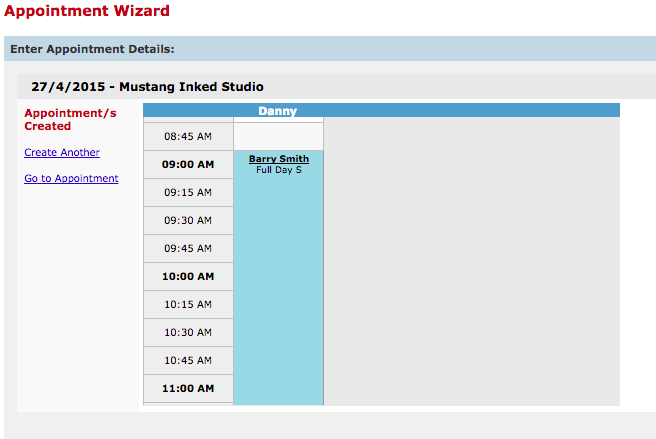 Your Wizard looks for the first available appointment option, and all the options there after. You can select from the time options down the left to find the one that suits your client best. Then clickLock In. Here's what the appointment looks like. Simply click the Go to Appointments to see where they are in your Appointment page. All done. You didn't have to figure out a thing, the Appointment Wizard did it all for you. 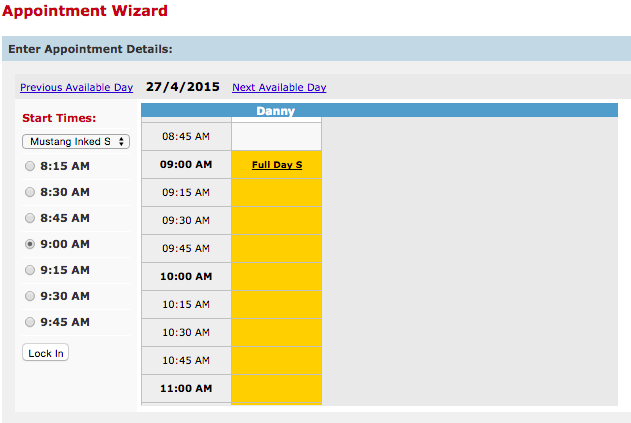 The Wizard is designed to find available time in and around your existing appointments to ensure there are no double bookings, and each service is booked one after the other. It will also take into account your operators rostered on times. If you have any questions feel free to send them to us by clicking the Submit a Request button in the Help & Support page.